Medair’s Emergency Response Team did an assessment and in July 2018 began their intervention, to address the need for water, sanitation, and hygiene (WASH) and nutrition. 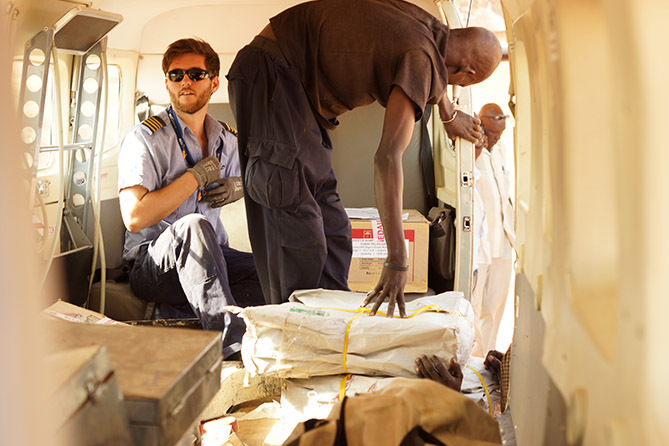 They worked in collaboration with Doctors with Africa (CUAMM), who are running health care centers in and around Yirol. The purpose of Medair’s intervention was to boost the level of WASH facilities at seven of CUAMM’s supported health facilities. 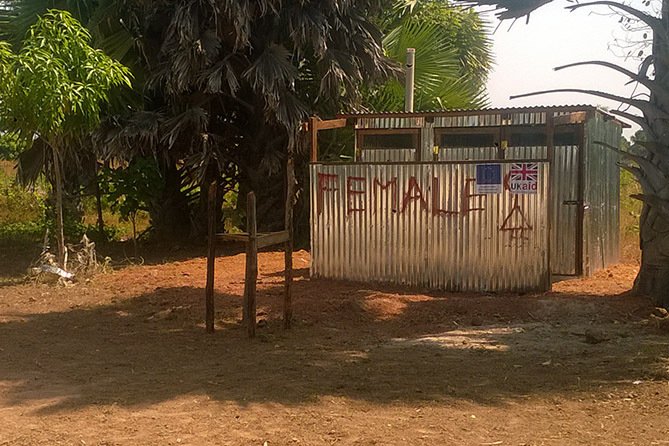 Over the next four months, Medair’s WASH team built latrines for men, women and disabled people and constructed waste pits to dispose of rubbish. All boreholes within a 30-minute walking distance from a clinic were rehabilitated and communities were shown how to maintain them to ensure their supply of clean water. Medair made it possible for IDPs to receive soap, medicine, and access to treatment for acute malnutrition. At CUAMM’s health facilities, Medair trained the staff in essential child health care. Local hygiene promotors were taught the importance of clean water and good hygiene practices. They were shown how to build latrines out of local materials so they could share their knowledge with their communities. December came and it was time to hand it all over to CUAMM. 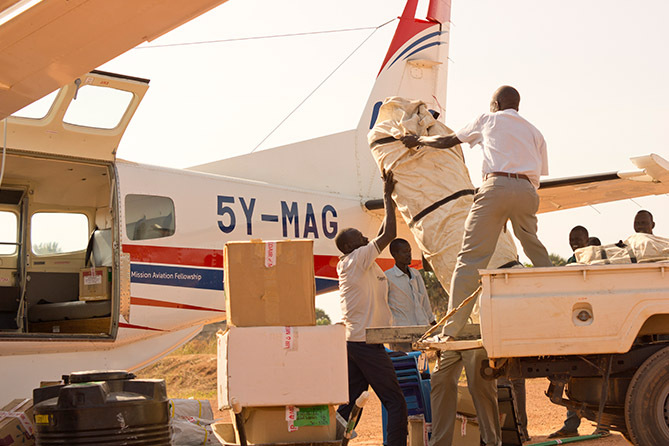 A MAF Caravan was chartered and 600 kg of medicine was flown to the health centers in Yirol. Almost a ton of equipment was waiting at the airfield when the aircraft arrived, together with WASH Technician, Marcello Jerfasio. 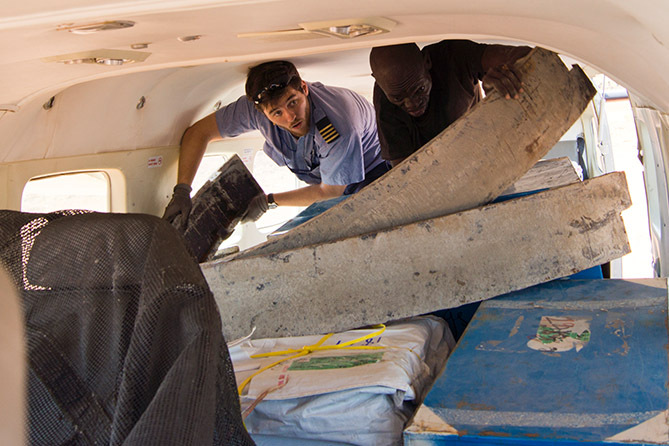 Several people were working hard to load the heavy equipment into the aircraft, while MAF-pilot Daniel Gill worked even harder to make it all fit inside the hull of the Caravan. 200 kg tents that had served as temporary warehouses and tool sheds, tools for constructing latrines and boreholes and big trunks with food and other items were edged into the aircraft and finally strapped down to keep them from sliding. 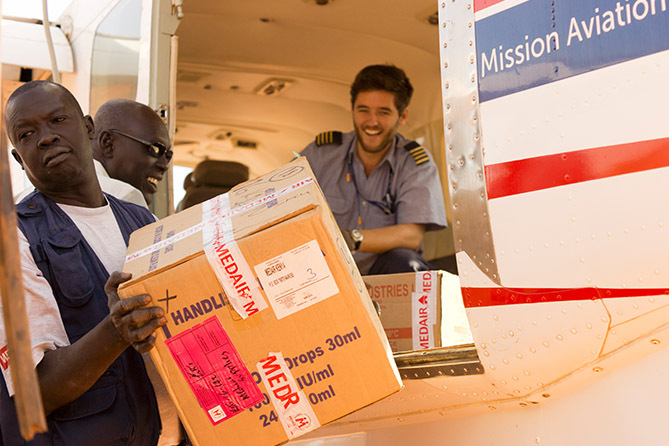 These items will become available for the next Medair emergency response.